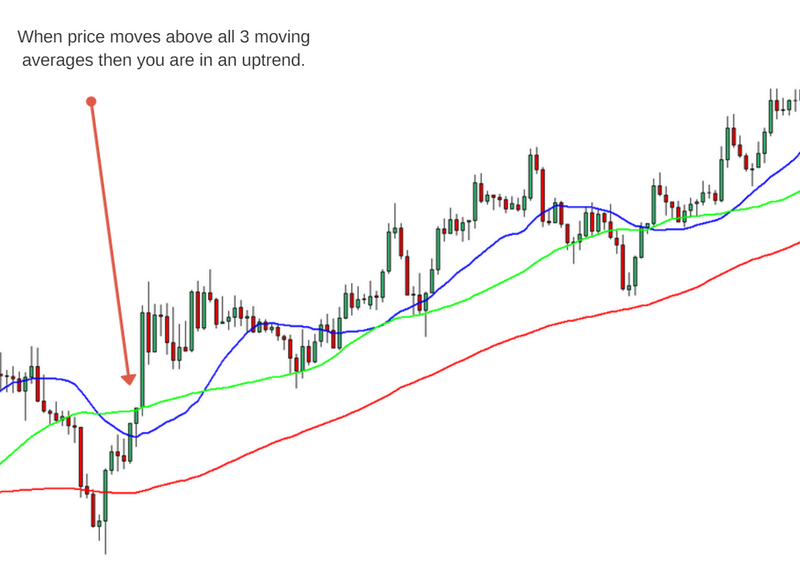 Find the trend is a classic trend following strategy for trading. ● The following strategy can be traded on any time frame (Remember the shorter the time frame the smaller the targets and spreads become more of an issue.) Time Frame 5 min or higher. ● You can plan additional stop and exit strategies based on your situation. ● This strategy can be traded with any market: Stocks, futures, and forex. There are so many ways to find the trend I am going to share how I have been doing it for a long time that will really make it easy for you. 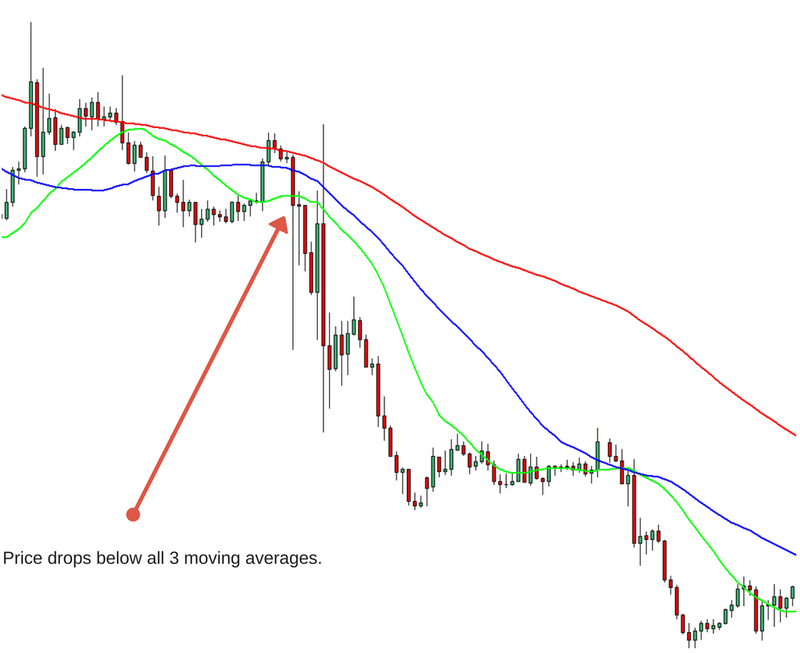 It involves adding 3 moving averages on your chart. 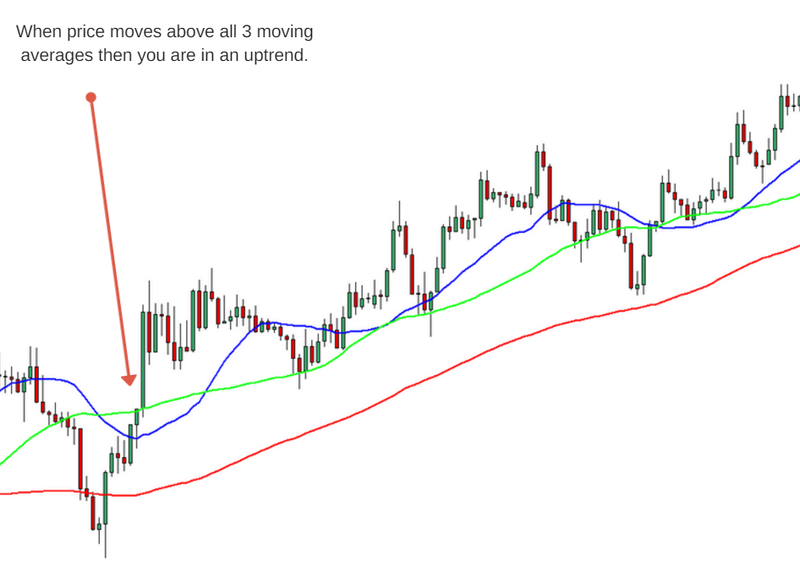 When the price is above all 3 moving averages you have an uptrend or if the price is below all moving averages you have a down trend. As you can see from the image above once the price moves above all moving averages the trend is up. This applies to any time frame that you are trading. However the higher the time frame the longer the trend will run. Once the price moves back below the 100 moving average the trend is over. 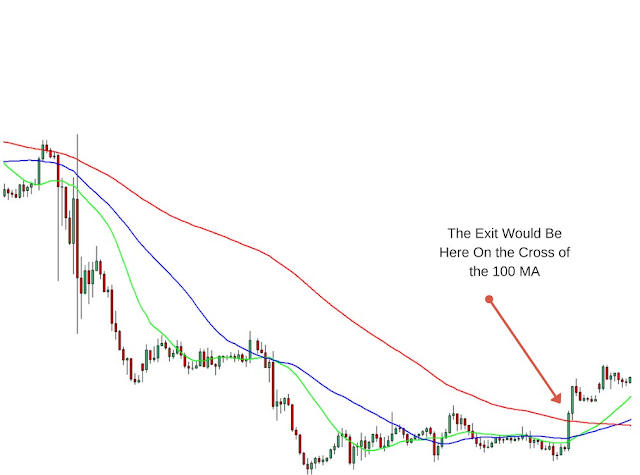 When you get a new trend develop you wait for a pull back into the moving averages AND and then continues in the same direction as the break the then you enter the trade. ​​I do not enter on the first break down only the pull back. This is personal preference so when you develop your trading plan make sure you determine what you are going to do. Let me show you the previous example where the entries would be. 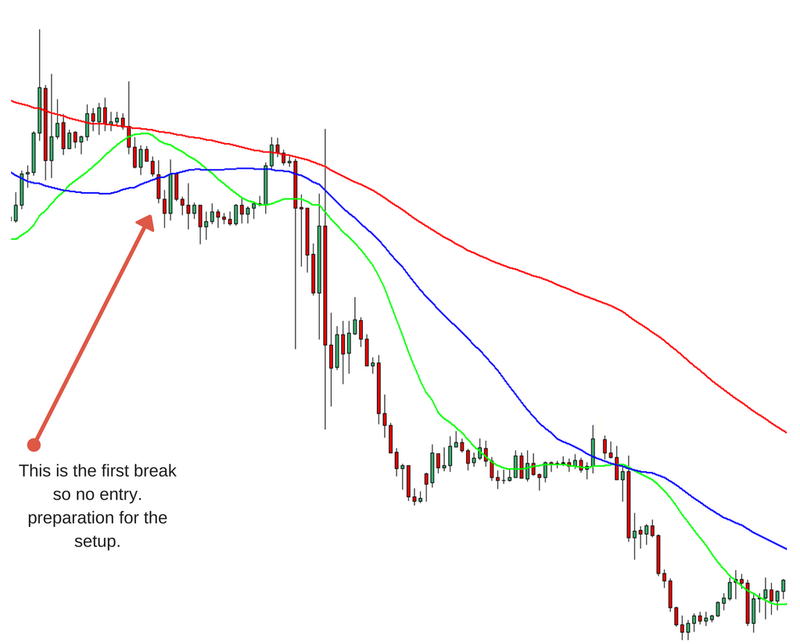 Below is an example of the entry I would take during this move. 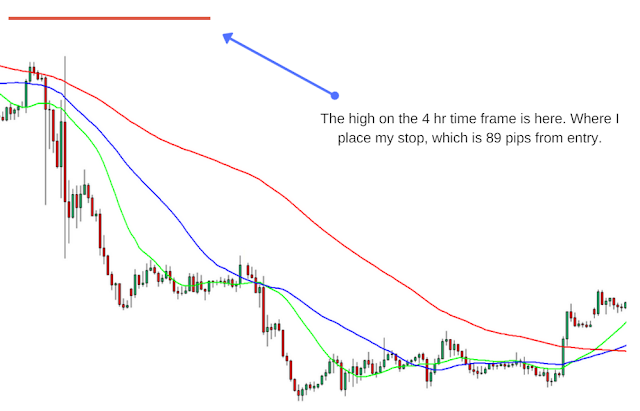 The stop is placed on the higher time frame High or low. would be a 4hr chart to find the stop. In this example the trade had a profit of +330 pips. 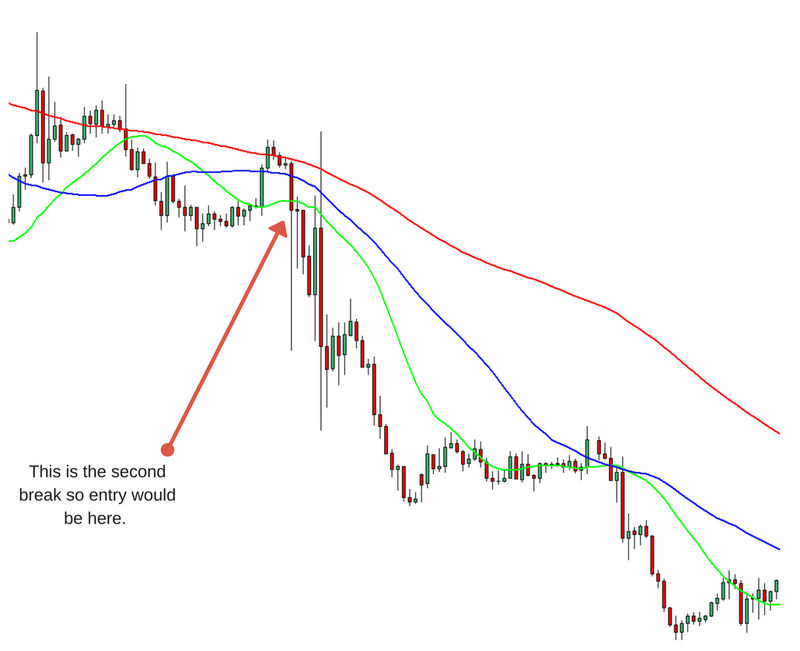 In review this trade would have had a stop of 89 pips and the final profit of 330 which is risk of 1 to 3.7. If you can average 1 risk to 3 reward over a long period of time then a 40% win rate will be extremely profitable.